NOTE: Please refer to the bottom of this story for ticket availability as of 9 a.m. Tuesday, July 3. VALDOSTA — Peach State Summer Theatre fans have just a few more opportunities to catch one of this year’s must-see shows. 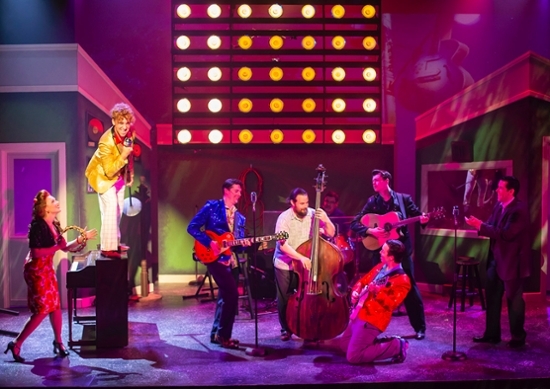 Final performances of “Million Dollar Quartet” are scheduled for 7:30 p.m. Friday, July 6; 2 p.m. Saturday, July 7; 7:30 p.m. Thursday, July 12; and 7:30 p.m. Saturday, July 14. “Million Dollar Quartet” is based on the night in December 1956 when rock and roll icons Elvis Presley, Johnny Cash, Jerry Lee Lewis, and Carl Perkins gathered together for the first and only time at Sun Records in Memphis, Tennessee, for an impromptu recording session. The jukebox musical “brings that legendary December night to life with an irresistible tale of broken promises, secrets, betrayal, and celebrations that is both poignant and funny,” according to TheatricalRights.com. The show gained massive success when it opened at Chicago’s Apollo Theater in October 2008, playing close to 3,000 performances before closing in January 2016. The musical then debuted on Broadway at the Nederlander Theatre in April 2010, playing 489 performances before closing in June 2011. This was followed by national tours and international productions. The show earned a Tony Award and two additional Tony nominations; an Outer Critics Circle Award; and a Drama Desk Award nomination. Final performances of “Newsies” are scheduled for 10:30 a.m. Thursday, July 5; 3 p.m. Sunday, July 8; 7:30 p.m. Wednesday, July 11; and 2 p.m. Saturday, July 14. “Newsies” received critical acclaim and commercial success when it opened on Broadway at the Nederland Theatre in March 2012, playing 1,004 performances before closing in August 2014. This was followed by tours throughout the United States and Canada as well as digital and theatrical releases. 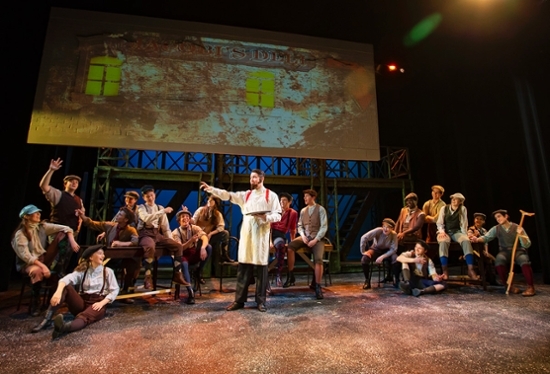 The musical earned two Tony Awards for Best Choreography and Best Original Score and six additional nominations. It also acquired a Grammy Award nomination, two Drama Desk Awards and four additional nominations, and a Young Artist Award nomination. 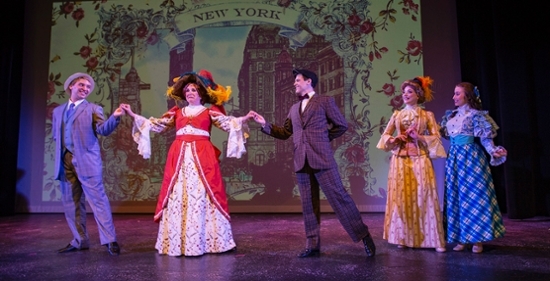 Final performances of “Hello, Dolly!” are scheduled for 7:30 p.m. Thursday, July 5; 7:30 p.m. Saturday, July 7; 2 p.m. Wednesday, July 11; 7:30 p.m. Friday, July 13; and 3 p.m. Sunday, July 15. Based on Thornton Wilder’s play “The Matchmaker,” this hit Broadway musical follows Dolly, meddler and matchmaker, on a madcap journey from Yonkers to New York City and back. Along the way, Dolly wrangles up a posse and strives to bring romance to Yonkers’ famous half-a-millionaire, his clerks, his niece, and his fiancée. “Hello, Dolly!” premiered on Broadway at the St. James Theatre in 1964 and instantly became a hit, playing close to 3,000 performances before closing in 1970. The show has seen multiple Broadway revivals, international productions, and national and international tours. It has won 15 Tony Awards, five Outer Critics Circle Awards, four Drama Desk Awards, three Laurence Olivier Awards, and many more accolades. The Broadway musical was adapted into a 1969 movie directed by Gene Kelly and starring Barbara Streisand that was nominated for seven Academy Awards and won three. Peach State Summer Theatre, or PSST!, is Valdosta’s premiere professional summer stock theatre. Each summer, dozens of singers, dancers, technicians, managers, and creators gather on the campus of Valdosta State University for 10 weeks, and during that time, they rehearse, build, and present three musicals in rotating repertory. The 2018 Peach State Summer Theatre season marks the 29th year of VSU producing professional theatre for the city of Valdosta, the state of Georgia, and beyond. From 1990 to 2004, VSU produced the Jekyll Island Musical Theatre Festival. In 2005, the summer theatre program was relocated to the university and renamed PSST! The Georgia Legislature designated Valdosta State’s summer stock theatre program the Official Musical Theatre of the State of Georgia. VSU’s Jacque Wheeler serves as the artistic director of Peach State Summer Theatre. H. Duke Guthrie is the managing director. Individual admission is $32 for adults, $28 for students and senior citizens, and $24 for Peach State Summer Theatre fans in groups of 10 or more, including taxes and fees. The Peach State Summer Theatre Box Office is open from 10 a.m. to 5 p.m. Tuesday through Saturday and 10 a.m. to 1 p.m. Sundays. It is located on the first floor of the VSU Fine Arts Building, at the corner of Brookwood Drive and Oak Street, and can be reached by calling (229) 259-7770. The online box office at www.valdosta.edu/psst is open 24 hours a day, seven days a week. All performances are held in Valdosta State University’s Sawyer Theatre. Sawyer Theatre and the PSST! Box Office are located on the first floor of VSU’s Fine Arts Building, at the intersection of Oak Street and Brookwood Drive. Visit www.valdosta.edu/psst for more information. Waiting List Notes: A waiting list is available at each performance. If reserved — but not yet paid for — tickets are not claimed within 15 minutes before the start of the show, seats may become available. You should arrive about 30 minutes before the show and be prepared to wait patiently to see if seats open up for that performance.